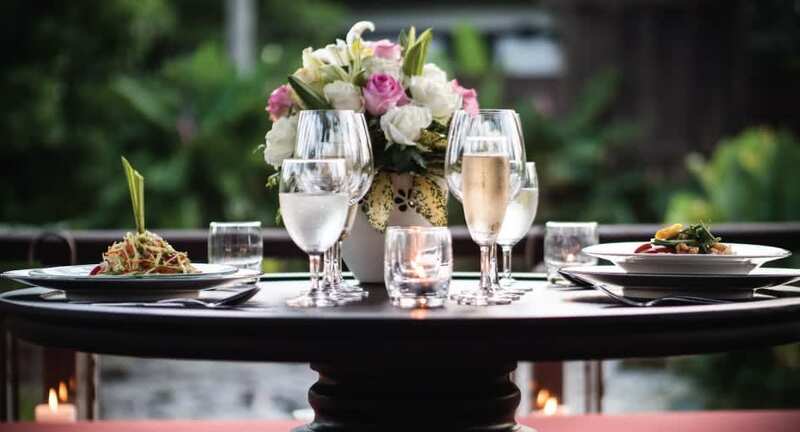 Private romantic dining in al fresco settings in Phuket. A candlelit table overlooking the ocean. A traditional Thai sala set over the lagoon. Imagine the perfect setting for romance, and we dress it up for you for one magical evening. Design your ideal meal in collaboration with your personal chef, or choose from a collection of royal Thai, Italian and seafood menus. Pair each dish with a varietal recommended by the Wine Guru, and enjoy discreet butler service. A signature Anantara experience.